Last week was a really difficult one on my classroom. The kids would NOT listen to me. They were too loud, too active, too unfocused and not respectful enough. I spent the whole week trying to be “proactive” about their behavior. That means I snapped a lot. I moved quickly and decisively to squelch every joke, fidget, giggle and snort. I demanded quiet during “quiet work time”. I called out every infraction of my “single file line” rule for the hallways. I was so “proactive” last week that I never even took a deep breath. The line was relatively straight, and the class was more or less quiet. I was pretty successful in my quest to keep them under control. I never relaxed for a minute. Like a bucket of ice water over the head, that comment brought me up short and snapped me awake. My friend was so right; I wasn’t having fun. I was in a room full of happy, healthy, curious, energetic children and I wasn’t having fun. What the hell. Tuesday morning, I came into the classroom determined to just let go and relax a bit. I promised myself that I wouldn’t allow chaos to rule, but I vowed not to yelp or criticize unless absolutely necessary. You can predict the results, can’t you? The kids relaxed, the smiles returned. My shoulders came down, my jaw unclenched, the headache went away. This week I had fun, I laughed, I gave a lot of hugs. I shared funny stories with kids. And I found that by Tuesday afternoon, I was surrounded by children calling my name, showing me their work and telling me about their lives. I remembered a metaphor taught to me by my best friend at school, our counselor for many years. 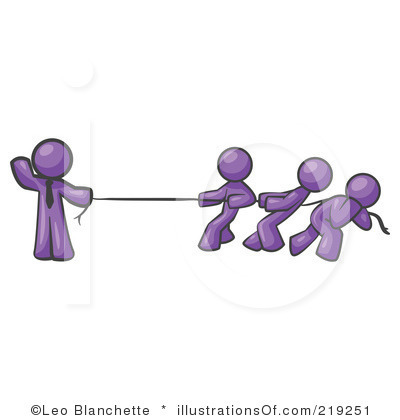 She told me to think of behavior management as a game of tug 0′ war; if I kept pulling on my end of the rope, the only possible response from the kids would be to pull back. “Drop the rope.”, she advised. And this week, I did “drop the rope”, and they stopped pulling back against me. Instead of a struggle, I was engaged in a mutual adventure. So now I wonder; in how many other areas of my life could I manage to “drop the rope” and learn to have fun again? Great metaphor; probably all areas of life. However, you are most likely around the same age as me, so I think it’s important to note that there may be some physiological reasons you were pulling so hard. I taught sixth grade, so hormones on both ends made it imperative to lock the rope up and throw away the key. Still the hormones on the kids’ end certainly do make for some interesting days…! This soooo reminds me of myself during the last year or two I was teaching. I changed schools and walking in straight lines was much more important at the new school. It was if the line was a reflection on the ability of the teacher to teach. I remember giving my students that evil eye. Yes, the headaches of it all- and quiet work time! Let’s see how long adults can work quietly, right? I am still in education, but no more lines or ropes! Thanks for reading, and for taking the time to reply! I have an old magazine clipping hanging on my refrigerator that reminds me to “chill out” and not stress over the small stuff of being a Mom and to enjoy even the messes because they mean the kids had fun. We all need to “drop the rope” at times and get dirty in the mud, spill a little, and get grass stains on our knees from rolling around in the grass. Thanks for the reminder.